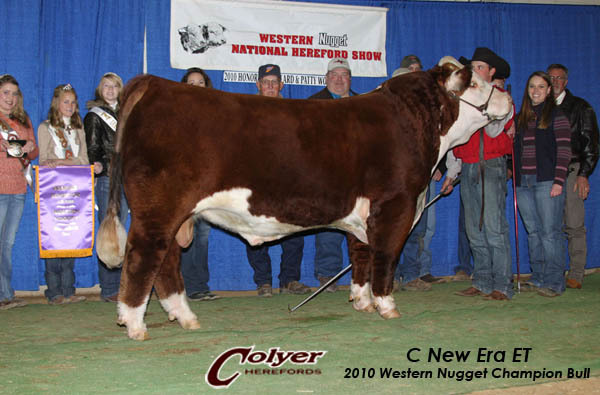 We are real happy with what this young sire has done with his first calf crop. 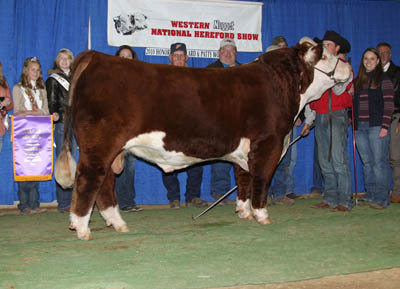 He consistently adds the extra muscle and performance that is demanded in today's cattle industry. 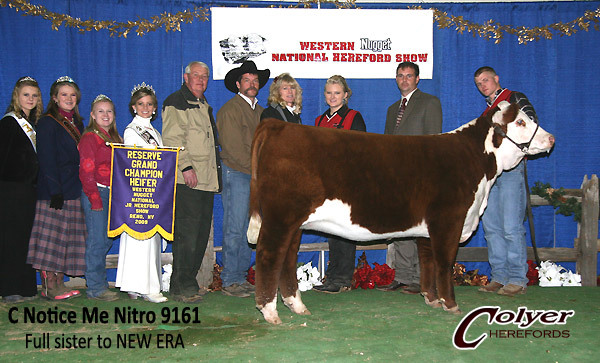 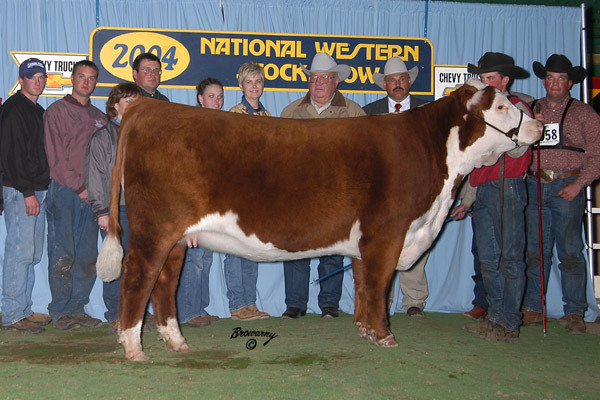 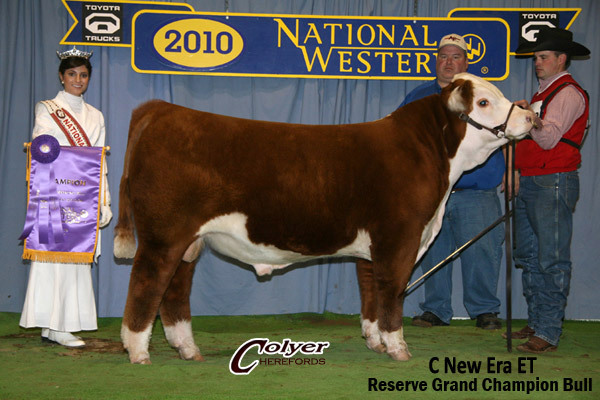 "New Era" had an illustrious show career being named Reserve Grand Champion Polled Bull in Denver as a calf and then being named Grand Champion Polled Bull at the Western Nugget National Show in 2010. 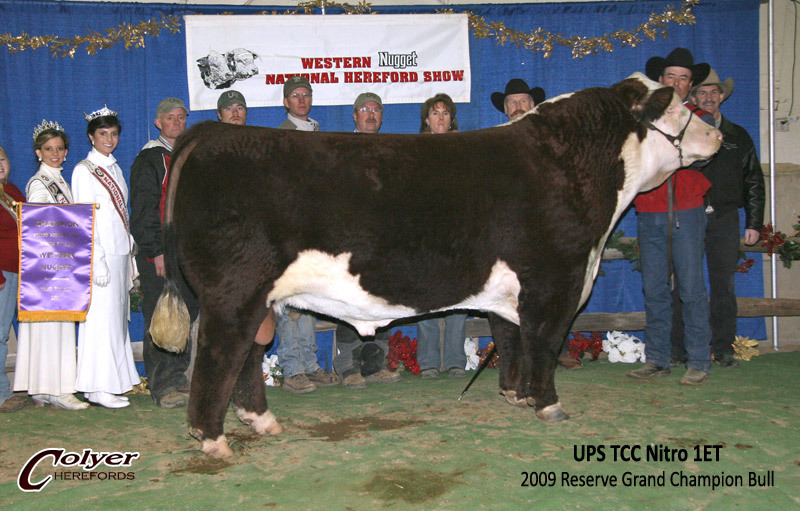 His greatest value is in the breeding pasture. 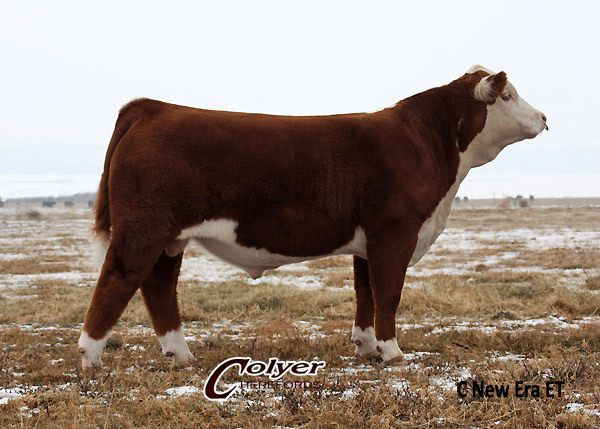 His first daughters averaged $25,980 in our 2011 fall internet sale.